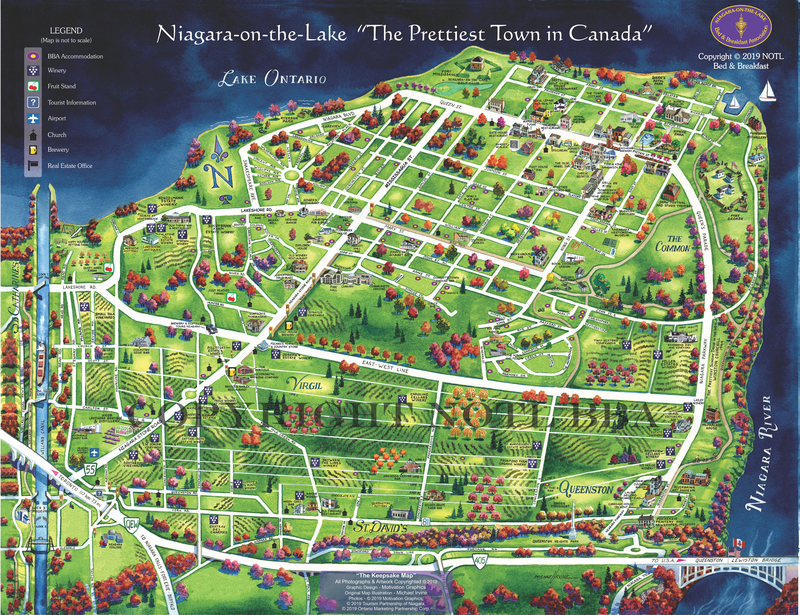 We produce a map of Niagara-on-the-Lake every year and provide copies to all our B&B members. Don’t be shy to ask your host for one upon your arrival. In the meantime, you can view it here. Make sure to ask your host about local taxi services. You can go anywhere around the downtown area for a fairly low flat rate, ensuring you can enjoy that special bottle of wine at dinner with peace of mind.